Returning to the roots of the franchise Risen 3: Titan Lords promises fans to step back to the original formula of Risen and undoing some of the choices made in Risen 2 game design. Taking control of a new hero untouched from your past two journeys in the Risen universe (although has some relation to NPCs of the past) the story follows your role as a pirate captain pushing back the darkness that threatens the world while also helping the various inhabitants with their problems. 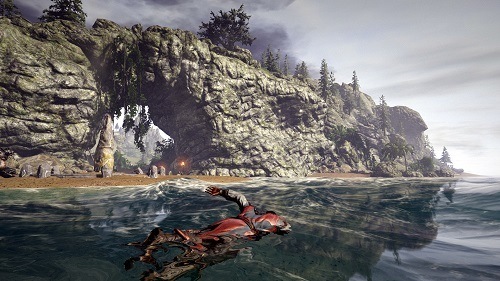 With a fantasy style pirate theme the game takes players across all sorts of settings littered with unique and interesting elements. Exploring these unique elements is easy thanks to the focus on freedom like many other open world role playing games. Risen 3: Titan Lords is no exception with main quests being able to be finished at your leisure, while tackling a number of the main parts in any order you deem acceptable. Combat is one such activity you’ll be engaging with a lot and unfortunately is the weakest element of Risen 3: Titan Lords, it is definitely passable but never quite reaches a level of fun due to its over repetitiveness and annoying camera that you’ll have to battle just as much as the foe in front of you. Matters are complicated by the less than streamlined role playing elements that make shopping and skill learning a chore. 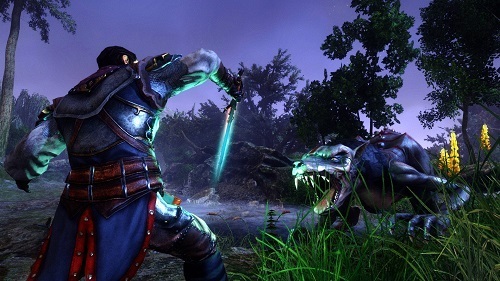 Despite some shortcomings in the big RPG areas Risen 3: Titan Lords still has this strange sense of attraction as the island hopping and voice acting quickly become addicting. Take on the life of a pirate as you island hop and find hidden treasure. Large variety in settings and wildlife. Battle the demons of darkness with sword, spells and firearm. Ally with one of three game factions. Freedom to explore and complete quests as you please.